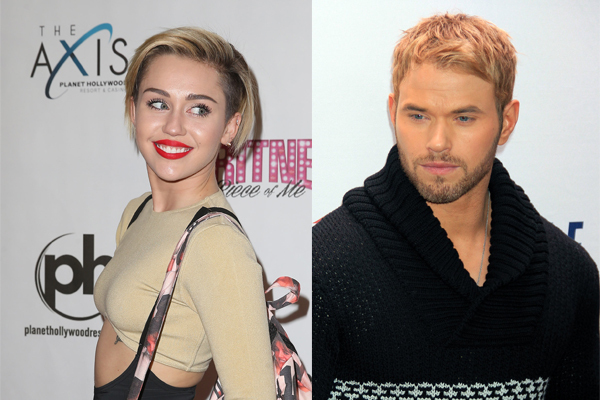 Miley Cyrus and Kellan Lutz are not dating, but they are friends and do make out on occasion. Many fans became excited when they thought Miley Cyrus and Kellan Lutz were dating, but, it turns out the two are just friends who occasionally make out with one another. But, making out with random friends does seem like a regular practice for Cyrus, as just over a week ago the controversial singer was seen tongue-kissing her pal Cara Delevingne. Of course, Cyrus also likes making out with sledgehammers and wrecking balls, so who knows whom, or what, her tongue will attack next. Meanwhile, both Cyrus and Lutz are enjoying their single life as neither is looking for a serious relationship. They are good pals and enjoy each other’s company and that’s where it stops. For now.